Back pains can be rather stubborn and discomforting. Your regular mattress may not help you much in dealing with the pain. Since the back pain can be relieved in a short period of time by sleeping in a specialised mattress, it’d be a great idea to hire one rather than purchasing one. 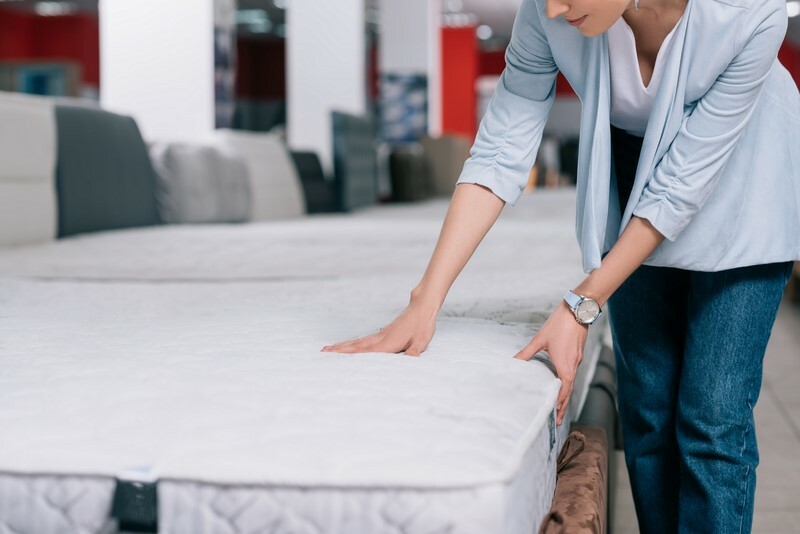 This is because when the mattress you have hired starts to feel uncomfortable for you as you’ve has it over a long period of time, you can hire another one this is a much more cost-effective way rather than going to buy a new mattress. So, what’s the smart thing to do? Of course, it’d be wiser to hire the mattress for the time period to help you deal with the pain before you get back to your regular mattress or even keeping the hired mattress for longer. If you buy your own mattress, you’ll have to incur the costs of repair in case it breaks once the manufacturer’s warranty runs out. However, if the mattress is hired, the company that rented it out to you will simply replace it without any charges on your end. Furthermore, if you have your own mattress, it will have to take time before it’s repaired for you to resume using it. This isn’t the case with a hired mattress as it will be quickly assessed and replaced within a short period of time. Lack of high capital outlay is one of the benefits of hiring a quality mattress than buying one. You can decide to hire a mattress for a specific period for which you’ll have to spend much lower than what you’d have to spend if you’re to buy it. This means that if your budget still can’t accommodate a new mattress but you’re in need of one, you can hire it and use it for the period. The cost of hiring it for a short while will be a small fraction of the price if you were to purchase one. When you opt for hiring a mattress, you’ll often get to use those of the highest quality. If you’re to buy a mattress, you’ll probably be forced to settle for a low-quality one because it’s what you can afford. However, when hiring, the charges are affordable for most people. Thereby, you can pick those of the highest quality to serve your needs fully. Many parents love to co-sleep with their babies, but the time always comes when the baby needs to be transitioned into a separate room, away from their parents. However, babies often find the process of transitioning from the parents’ bed to the cot a rather difficult experience. As a result, they can’t sleep in the cot as quickly and as easily as the parents would wish. As a parent, you’ll understand that it’s not easy for them to move from your bed with the comfort that you’re next to them and be able to sleep in the cot right away. Hence, you need to take the right approach that won’t be too stressful for your baby. The following tips can work for you in a great way. Cleaning your bed keeps it free from stains, odours, moulds, and dust mites, including disease-causing bacteria and viruses. You just need two things in dealing with them: vinegar and baking soda. Strip off the bedding and cushion covers and wash them carefully using hot water to kill dust mites. While soaking them in warm water, add ½ to 1 cup of vinegar to soften the sheets and remove bad odours. Baking soda is a powerful deodorizing agent for your bed. Sprinkling baking soda over your bed and leaving it on for more than 30 minutes will remove bad odours. After that, use the upholstery attachment available on your vacuum to remove the sprinkled baking soda. 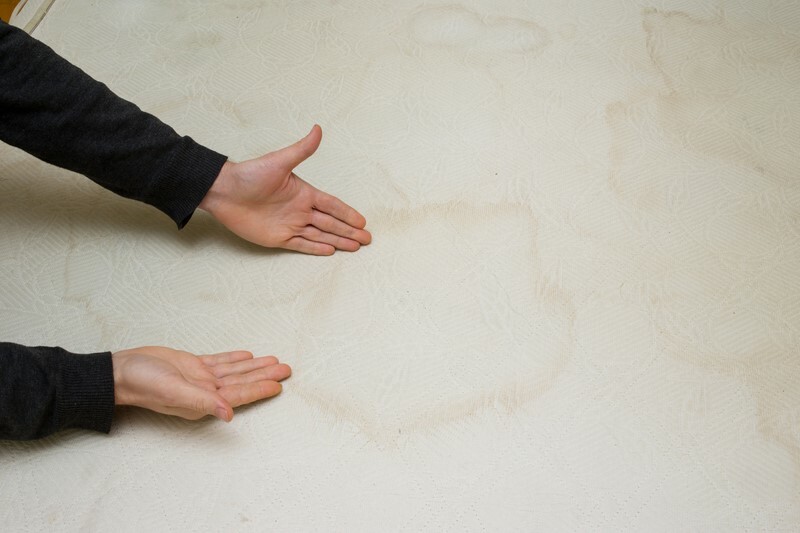 When removing stains, always use a small amount of liquid cleaning solution to keep your bed’s interior padding dry. Excessive moisture may damage the timber inside the bed and cause mildew and mould growth. Likewise, you should clean the stain as fast as you can. Avoid scrubbing or rubbing the excess liquids. Blot the stains and apply pressure to remove them completely. Upholstery cleaners are suitable for most stains. Check the label and follow the given instructions carefully. Again, make sure you use the solution at the smallest amount possible to avoid oversaturating your bed. You can also use natural cleaning agents in removing tough stains. Spray the vinegar all over and sprinkle the baking soda afterwards. Let the mixture bubble and cover the bed with a towel for one to two hours. Use the vacuum nozzle to remove the excess baking soda. You can use 3% hydrogen peroxide for bloodstains but check first your bedding for colourfastness. Hydrogen peroxide can act as a bleaching solution which may harm fabrics. You can either spray it when treating a bigger area or apply it on cotton buds for smaller spots to clean. Blot the stains with a white cloth. Allow the solution to sit for another five to 10 minutes before rinsing with cold water. Blot the treated part to dry, and repeat the procedure if necessary. For urine, you can blot the excess liquid with a towel. Mix two tablespoons of baking soda, a tablespoon of dishwashing soap, and a cup of 3% hydrogen peroxide. You can spray the mixture or use a cloth dipped in this solution to treat tough stains like urine. Leave it there for 24 hours and wipe or vacuum the excess baking soda. Repeat the procedure for the lingering odours. You can also blot the spot with fabric moistened with vinegar. A plastic bed bag can help in treating odours on your bed. Sprinkle baking soda all over, put the cushion in the plastic bag, and keep it sealed for one to two days. On the third day, take the cushion out of the bag and vacuum it. 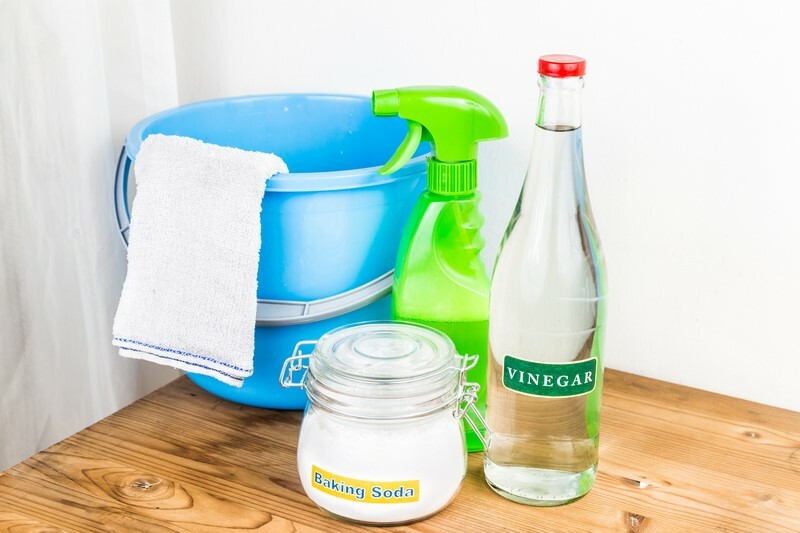 Baking soda and vinegar are two affordable home remedies that can effectively remove tough stains and unpleasant odours on your mattress. Follow the steps given above and be amazed at the results. Moving from a baby cot to the bed is a huge transition for all children. It makes them feel that they’ve grown and now ready to sleep in a bed just like the older folks do! The big question is when to make this transition for your child. There’s no specific right age or time for this to be done, taking into consideration that each child is unique. But a toddler will commonly make the transition from cot to bed between around 18 months and three years old. Since every child is unique, however, this can make it inappropriate to take a universal age at which you transition your children from the baby cot to bed. However, there are certain guidelines that can help inform your decision. When you notice that your child has clearly outgrown the cot, it would be the right time to make the move. One of the things to look for when you want to make this decision is when he’s not able to lie in the cot straight. Also, if he hits himself on the sides of the cot often when he moves, it’s a sign that his size is now bigger and needs to be moved to the bed. Babies are quite explorative. They will always attempt to climb out of the cot and give everything they’ve got to manage. Your toddler’s main aim here is to see if they can get out and play while everyone else is asleep! However, this is quite a task for them and they won’t be successful until they get to be able to coordinate their moves and have enough effort. This will only be possible when they attain the age of one year. So, if you realize they are able to do this, consider the transition. 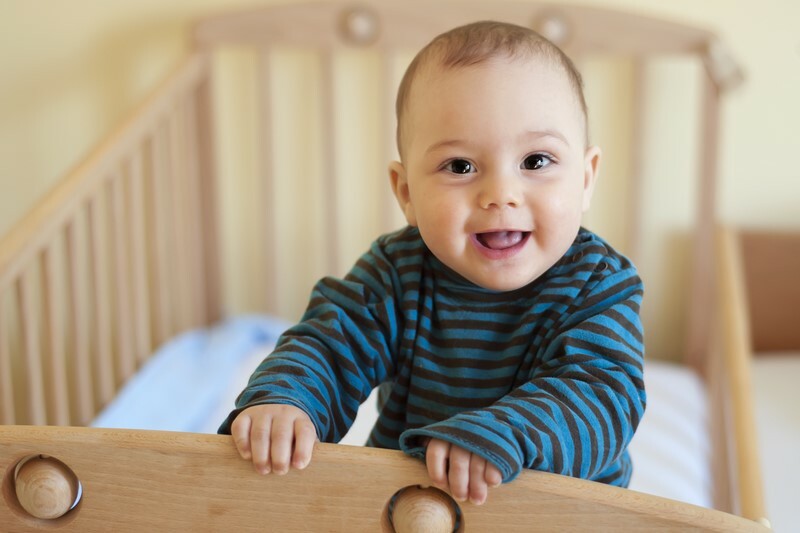 Moving a baby from the cot to the bed may be necessitated if the former is required for use by another baby. Moving the older lad to the bed will create room for you to be able to use the baby cot for the younger family member. However, in such a case, the older baby must be given a smooth transition. Ensure that they are comfortable with their new place of sleeping. This should not be less than two weeks before the new baby is brought. • Talk to them about it and promise them how exciting it’s going to be sleeping in a bigger bed. • Give them a choice by taking them to shop for their preferred bed in case they resist the idea of moving. • Place the new bed in the same room with the baby cot if the baby wouldn’t like to change the environment. • If you’re moving the toddler as a result of another baby, do it in a way that they won’t think of the new baby as one who has come to take their place. • Make the new bed as close in structure to the cot as possible by using the same things such as sheet colours and pillows. The advice given here will go a long way in ensuring that your child transitions as smoothly as possible to the bed from the cot. This way, they’ll believe it’s only natural that they get to move to a new bed. Due to lack of closets in some small or old apartments, there’s always a huge problem when looking for ways to stores clothes. If you find yourself in such a situation, you have to think creatively about alternative ways of coming up with a hanging storage for your clothes or those of other family members. However, don’t be tempted to only think about the storage problem but also about the décor of your space. You don’t want to come up with storage solutions that will work against the organization and appearance of your rooms. To help you in the journey, here are some creative hanging storage solutions for clothes that you can consider. For those of us who love the traditional closets in storing clothes by hanging, there’s the option of mimicking the closets; the clothes rack. These racks are available for purchase at considerably cheap prices. 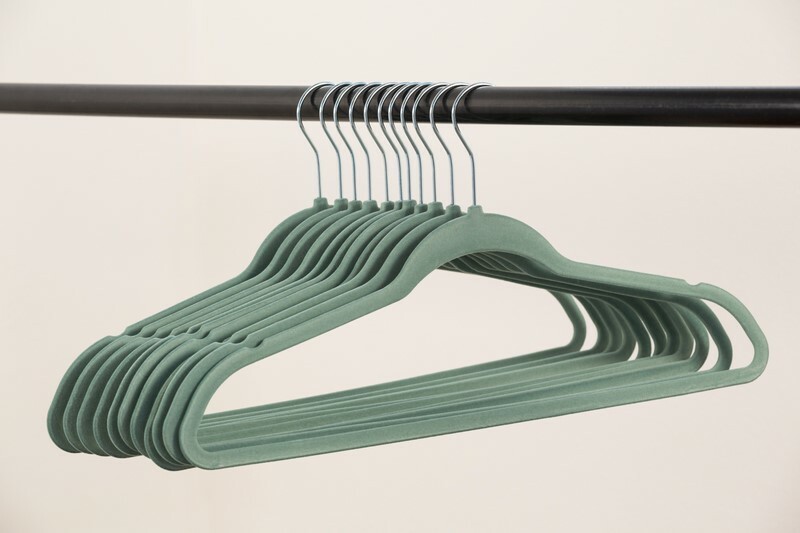 When you opt for the detached clothes rack, take care of the size, whether it’s small or large. If it’s small, strategically think about how you’ll get the most space out of it when you fill it with clothes. Most people often forget about accessories which include jewellery and scarves likely because they are not always stored in plain sight. It’s easy to tuck them away into places that you won’t be able to reach them easily the next time you’d like to use them. For these items, why not use command hooks, thin nails or wall organizers to hang them? Alternatively, you can have the scarves and tights tied in knots around the hangers and then placed on the display. These hangers will also fit perfectly well on the detached wardrobe rack. Without a lot of floor storage space, the picture ledge can come in handy when you want to open up opportunities for the storage of your clothes. On an open wall, install one and on its underside attach a clothes rail. In this way, you’ll then be able to hang hooks for bags, jackets and clothes. Cup hooks may also be screwed in at the bottom for hanging lighter items such as necklaces and tank tops. For holding handbags, sunglasses and shoes, you can use the top of the ledge. In thinking “upwards”, you can come up with your makeshift closet by hanging a clothes rod from the ceiling. On the ceiling, strong hooks are installed. A rope is then attached to dangle below both of them. You should tie the rope tightly along a rod to provide a space for hanging items that are prone to wrinkling. With a tall enough space and strong ropes, another rod can be added below the first one to get a double hanging space. To maximize the use of your space, you can use a lightweight piece of chain for staggering hanging clothes in tall closets. To do this, loop the first chain link over the first hanger. 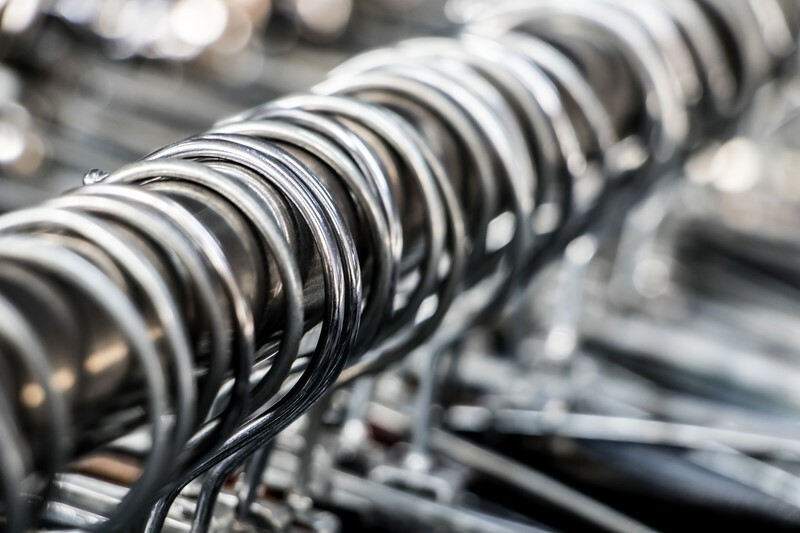 The subsequent hangers are then made to hang on the subsequent hangers all the way on the subsequent links. With these 5 solutions, you can effectively and efficiently make use of that small space and find great hanging storages for your clothes. Do you feel like you have experienced Sleep Paralysis?